The MC9200 is the next generation in the industry-leading rugged MC9000 series, now upgraded to support your next generation mobile applications. 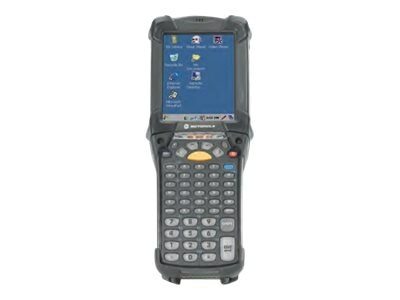 The rugged mobile computer that evolves to meet changing business needs brings you the same signature rugged design, best-in-class bar code scanning and dependable operation, now with the power to run applications with highly-intuitive interfaces that will further simplify processes and increase worker productivity in your toughest environments. And you get well-proven technology you and your workers can count on every day, millions of users around the world count on their MC9000 series mobile computer to better manage inventory in warehouses and manufacturing plants, track baggage on airport tarmacs thin any kind of weather and keep weaponry and vehicles on military bases in peak operating condition. The MC9200 - the next evolution in the world's leading mobile computer for demanding environments.